Recipient of our pro-bono nonprofit project for 2015. 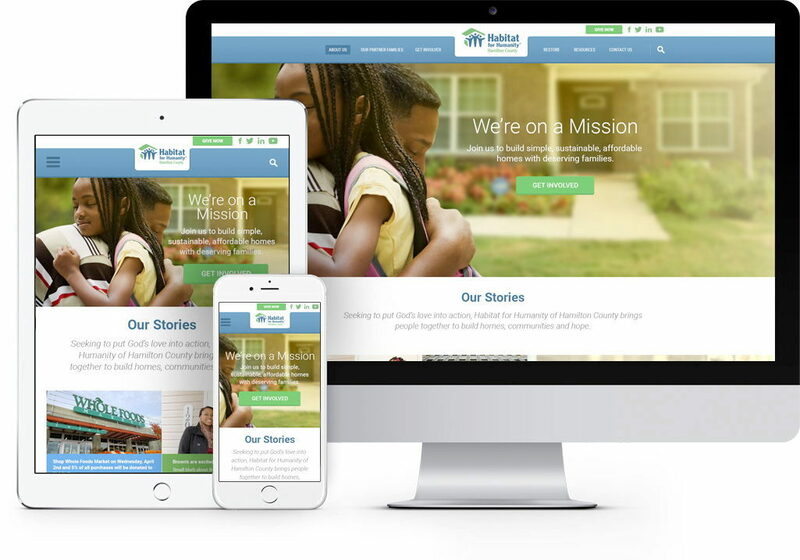 The recipient of our pro-bono nonprofit project for 2015, we worked with Habitat Hamilton County to completely redesign their website and ReStore site. Habitat for Humanity of Hamilton County’s mission is to partner with low-income, hard-working families in Hamilton County under the conviction that every person and family deserves a simple, decent, and affordable place to live. 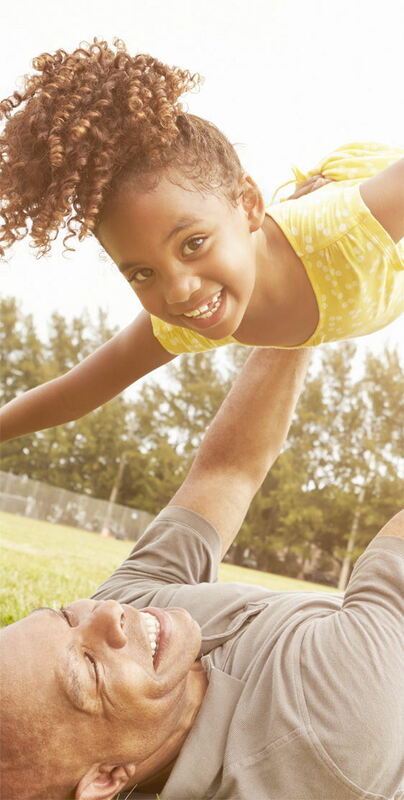 Habitat homeowners pay interest-free, no-profit mortgages, which are used to build more Habitat houses. Because houses are principally built with volunteer labor, mortgage payments are affordable for low-income partners. Nonprofit organizations typically have limited marketing budgets, which is why we love partnering with at least one pro-bono project a year. We know the marketing and website budget challenges of local nonprofits. 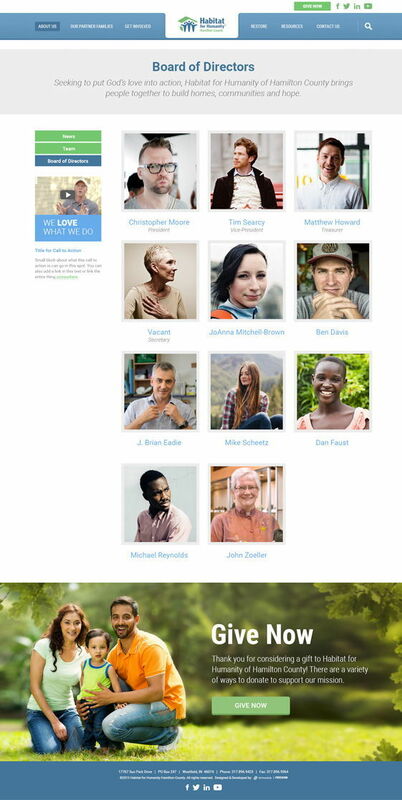 A beautiful online presence is essential for communicating Habitat for Humanity of Hamilton County's mission. HHHC chose to put their partner families front and center. We accomplished this on the homepage by including a custom section for partner family stories, videos, and volunteer opportunities. On a small screen or desktop display, these family stories are in the spotlight. Part of our website design process is asking: What is the main action you want a visitor to take? Usually there's more than one. For Habitat for Humanity Hamilton County, it was this: sign up to volunteer, donate, learn more about families that are affected. The visitor has a clear path to take these priority actions when they land on the homepage. We created an infographic to help explain a 7-step, beginning to end process. This visual representation clearly lays out their process so that a partner family, volunteer, or donor knows exactly what to expect. 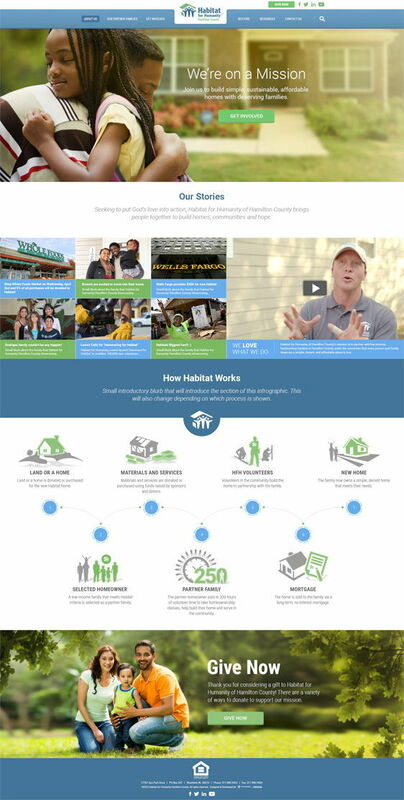 Habitat for Humanity Hamilton County now has a gorgeous website, integrated with third party systems so they can take donations online, get volunteers to sign up, communicate their family stories and events, and more.